Referring to the universe, history and the unknown, he says: "There are about 100 billion stars in our galaxy and we have 100 billion galaxies in our universe." At the same time, he says: "In two billion years our galaxy will collide with the Andromeda Galaxy." After the Big Bang the universe continued to expand, which is why the following information is remarkable: "Every second that passes two babies are born on earth, while in the universe 65,000 stars are born." This shows the greatness of the universe and we who live on earth, a very small planet, live in an insignificant part of the universe. Most surprising is that what we see makes up only a small part of the universe, which is still unknown to man. He says: "All the galaxies and stars we see are luminous matter, the 92 chemical elements freely found in nature. What we see is 4% of the constituents of the universe. Dark matter, which we do not know what it is, is 23%, and dark energy is 73%." Hence, most of the universe is unknown to man. To the following question submitted to him: "What is so exciting in the story of the universe?" he responded: "The unknown and the photographs of the universe that are works of art. We become like children. We return to the basic questions: where did we come from? where are we going?" There have been several theories, but according to Simopoulos: "What we know is that energy is there. Nothing is blank." At one point the journalist who took the interview (Maria Katsounakis) asked him: "Have you ever been jealous for material goods?" He responded: "I have never been jealous for material goods. 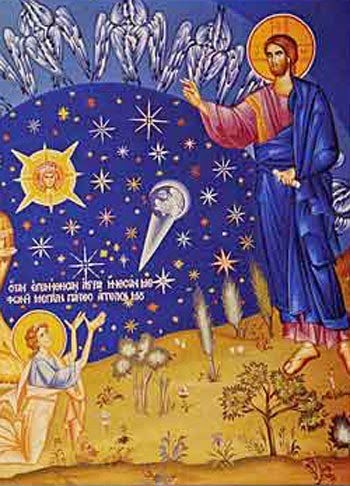 Moreover, in the end, we all will become stardust" (Kathimerini, 07/15/2012). What he said about the unknown and mysterious universe is amazing, that everywhere there is energy. But the sad thing is that he holds to the view that we all will become "stardust". These are the things scientists say, but God-seers express something different. 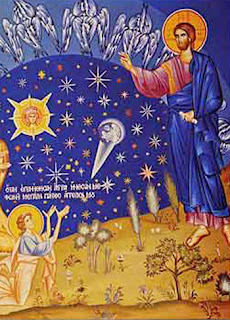 The Prophet David, observing the starry sky and the entire world, says: "How great are Thy works, O Lord, Thou hast made all things in wisdom" (Ps. 103:24). Elsewhere he says: "The heavens declare the glory of God; the skies proclaim the work of His hands. Day after day they pour forth speech; night after night they reveal knowledge" (Ps. 18:1, 2). And: "Lord, our Lord, how majestic is Thy name in all the earth! Thou hast set Thy glory in the heavens" (Ps. 8:1). Also: "Say to God, 'How awesome are Thy deeds! So great is Thy power that Thine enemies cringe before Thee'" (Ps. 66:3). God created all things "from non-being" and He sustains it by His uncreated energy. The energy of God is everywhere, and His presence fills all things. This is why David chants: "Where can I go from Thy Spirit? Where can I flee from Thy presence? If I go up to the heavens, Thou art there; if I make my bed in the depths, Thou art there. If I rise on the wings of the dawn, if I settle on the far side of the sea, even there Thy hand will guide me, Thy right hand will hold me fast" (Ps. 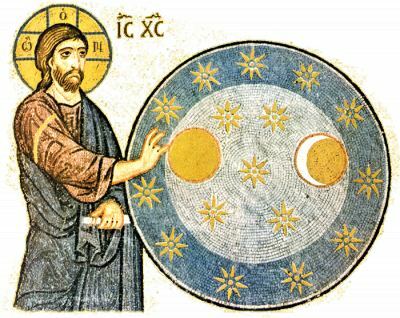 139:7-10). Man may not ever know all the mysteries of the universe, yet he can know the unknown God, the Creator and Sustainer of the universe, and live eternally with Him. He will not become "stardust", but by the Grace of God he will be deified, a bright spiritual star. Source: Ekklesiastiki Paremvasi, "Τά μυστήρια τού Σύμπαντος", September 2012. Translated by John Sanidopoulos.